Pursuing a career in music has been nothing short of a lifelong dream for United States country musician Hailey Varhaalen and for the hugely talented vocalist, it is all about bettering her craft and herself as an individual in the course of attaining that goal. “Chasing my dream and passion for music has been a part of my life since I was a little girl. When I was about 20 years old, I started playing local bars with a band and fell in love with performing aspect of music. I would soon be chosen to open for national acts that would come through Portland, as well as be chosen to play Oregon’s country music festivals where I really was able to hone in on my artistry and get to know myself for who I was as a performer. This would eventually open me up to the opportunity of moving to Nashville in October 2016! Once I got here to Nashville, I hit the ground running with networking and performing at writers rounds and meeting as many people as possible to write with and better my craft! Eventually, I would record my third EP “The Real Stuff” that included a collection of songs I had written since my big move. I felt like these songs accurately depicted the growth I had gone through since my second EP “Girls Night Out”, and also felt the songs were all a good portrayal of who I am as a writer and a person. Since the release of “The Real Stuff”, I have continued to write, tour, network, and take steps to better my craft and open myself up to new opportunities. 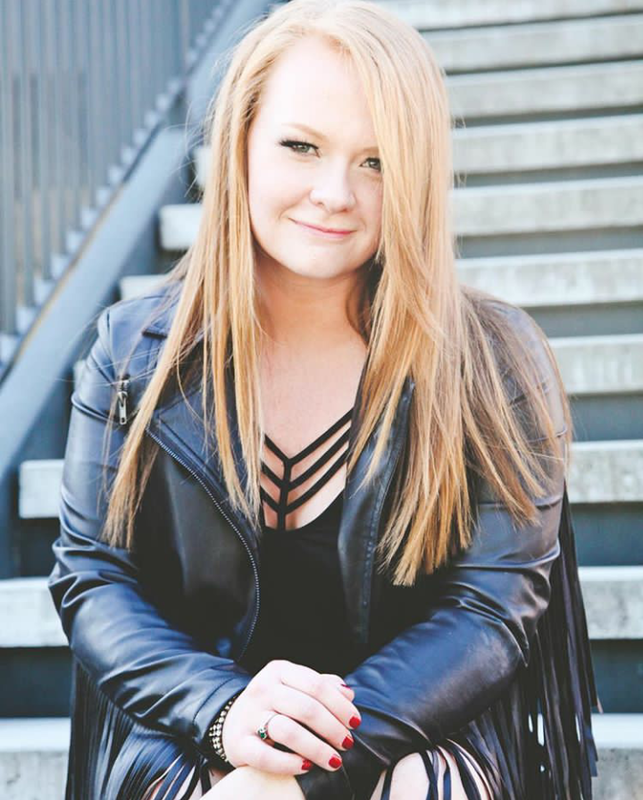 I have also spent a little time getting into the demo singing world of Nashville, and have fallen in love with that side as well!”, recollected Hailey in a recent chat with Urban Craft magazine. While she acknowledges that nothing comes easy, especially in the music industry, the gifted singer believes that it is important to be ‘authentic’ in whatever you do….It is after all the one thing that gives you an edge over everyone else! “It’s an industry you take day by day with the knowledge that it is going to take a lot of hard work to break through, and that keeping your passion for music alive in your heart is the most important part to fueling your drive and motivation to keep going; even when it’s tough. It’s easy to feel like a very small fish in a very large sea, but you cherish the many days you feel like your right on track. I’ve also learned that it’s important to remember the quote “No one is you and that is your power”, because it helps me remember that I have something to offer that no one else does; my true and authentic self!”, said the singer who is originally from Oregon City. Hailey said that apart from being chosen to open for acts such as Deana Carter, James Otto and Love and Theft, her biggest achievement has been crowdfunding $12,000 to be able to record an EP of songs that she had written since moving to Nashville, and having that EP hit #9 on the country iTunes Charts. “It was an incredible feeling to see the amount of support I had and watch people band together around me to ensure that I was able to achieve my dream of stepping into a Nashville studio to record an EP I worked really hard on. “I have recorded 3 EP’s including “Whiskey and Fire” which was an EP that was done in my early songwriting and music days. It was such a blast to step into my first studio and watch my songs come to life for the very first time. It was a fun process I got to enjoy recording with my friends Andy Nagatori, and Weber Salz. My second EP “Girls Night Out” was also recorded in Oregon and was produced by Jason Snell, who has gone out of his way to help me in my music career! This was such a fun project! We took the title track “Girls Night Out” and turned it into a music video that was recorded with all of my friends and family at my hometown bar Beavercreek Saloon. “That was a night I will NEVER forget. My third EP was recorded here in Nashville, and is so far my favorite collection of work I have done! This EP means a lot to me because not only was it crowdfunded as I had mentioned before, it was my first release since making my big move to Nashville, and was really a project of “this is what I have been up to, and this is how I’ve grown” for my listeners all over, but most importantly for my friends and family back home”, she said. For the artist, whose day to day routine revolves around building her original song catalogue, her goal remains that of continuing to spread love through music. “I want to keep writing, recording and releasing multiple singles each year and getting them in front of many ears as possible in hopes of positively impacting people’s lives with the stories my co-writers and I are writing. It may take me a little while to get on a schedule of consistently releasing singles, but I plan to work hard to continue to give my listeners new songs to listen to! I also want to tour in states I haven’t been to/played in yet with my band to get in front of new people and share these new songs! I would also love to work toward being invited/chosen to sing a showcase or writers round at the bluebird cafe, which has been a bucket list thing of mine for a long time!”, said Hailey.